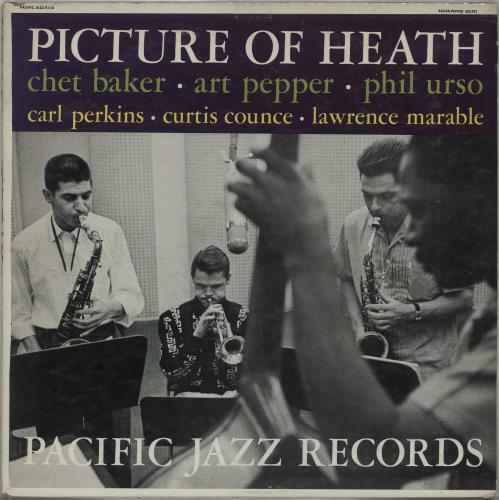 CHET BAKER & ART PEPPER SEXTET Picture Of Heath (Rare 1961 US 7-track deep groove mono LP on a black & silver Pacific Jazz label, the classic meeting between the two giants of the West Coast 'cool school', first released in 1956 under the title Playboys. 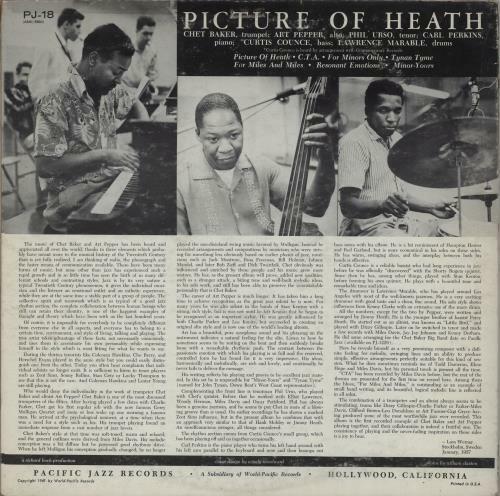 Also features the talents of Phil Urso on Tenor, Carl Perkins on Piano, Curtis Counce on Bass & Lawrence Marable on Drums, great picture sleeve variant. The heavy card sleeve has a 6" hairline split along the top which has been neatly tape reinforced, & the panels are in Excellent condition with no writing or wear that upsets the print. 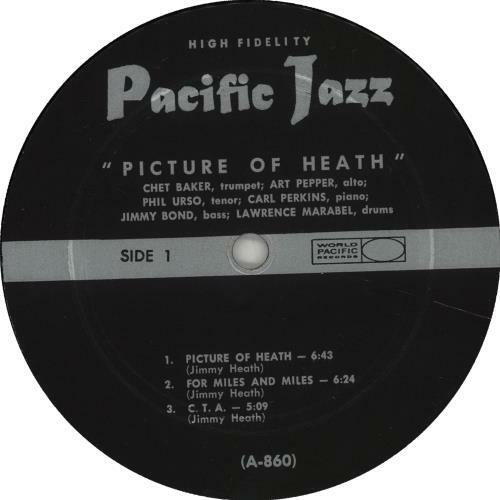 The vinyl appears practically Near Mint with minimal sign of play at all PJ-18). or visit our Art Pepper image gallery.